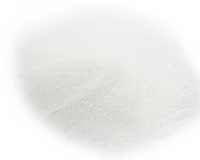 MAP®FORT 12-61-0 is Fully water-soluble fertilizers, contains highest percentage of phosphorus in crystalline form, which is important, & essential for blooming stage. MAP®FORT is improves crop establishment and development and it's the most suitable input in fertigation systems, and through all irrigation systems. 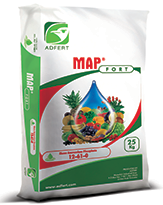 MAP®FORT is excellent starter fertilizer. MAP®FORT is very important during flowering initiation stage when crop P requirement is high, especially during cell division phase.